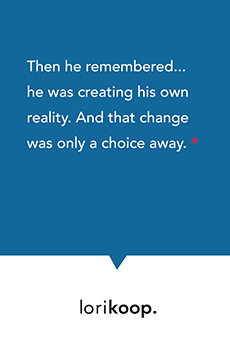 he was creating his own reality. Why do we forget our power so easily? It’s good to have friends who remind us.